In November of last year I wrote a blog which the editors here at Gunners Town titled ‘Arsene Wenger is not top class anymore’, which was as accurate a reflection of the piece as you could get. It wasn’t a reactionary rant about another painful loss, (it was after we blew 3 goal lead to draw against Anderlecht), and it was roughly 5 years of frustration in the making. Now please understand that I’m not a young fan who started watching Arsenal in the late 90’s and only knew success prior to 2005. I saw our great club for the first time in 1988, when my father told me we were going so see Arsenal, and my response was, “who’s he?” I’ve seen good years and bad years, and I can accept the bad years. What made me so upset after the Anderlecht nightmare was that it was the same Arsenal we’d been seeing making the same mistakes because of the same issues that never seemed to be addressed. These problems have more or less been crossed off since January, and of course an improved league position, (albeit with fewer points) and another trophy have been added to a new and growing list of reasons for optimism ahead of next season. We got routinely obliterated during the course of the 13-14 season, including the 6 goal nightmares away at Stamford Bridge and the Etihad. This was in large part due to our tactics. This season Arsene has changed his approach, and the wins away at City in the league and Old Trafford in the cup were great examples of a more mature approach. There is still some debate as to whether Wenger hired our new fitness coach or whether Gazidis did. Either way the new approach Shad Forsyth has brought appears to be working. Even if Arsene didn’t appoint Shad, he’s obviously listening to his advice. Linked to the issue above of injuries, one of the reasons for our at times woeful defending was playing players out of position to cover for injuries. This trend ended by the turn of the year, and we didn’t see Monreal playing centre half in the second part of the season. Another issue we had during the early stages of the season was that Mertesacker lacked motivation. Although this was seen by many as his issue, I believe that it’s up to the manager to reinvigorate an apathetic player. Whatever happened it worked, and Per was much better from January onwards. Another reason our defending improved was the return of Coquelin from Charlton. He brought balance to the side, and has become one of the first names on the team sheet. I was incredibly frustrated at the start of the season when we began without the defensive midfielder we all knew we needed and without adequate cover at centre half. Bellerin had yet to emerge and we signed only Debuchy and Chambers to cover for the departures of Sagna, Vermaelen and Jenkinson, thus leaving us short at the back. By January Paulista had joined the team and he’s proven to be more than capable. I fully expect him to challenge Per for a place in the starting 11. (Special mention goes to having Flamini as our only option as a specialist defensive midfielder). This was of course linked to Mertesacker’s dip in form, but became less of an issue as the season progress with Per rediscovering his mojo, Ramsey relaxing enough to focus on the team effort and Coquelin leading by example. 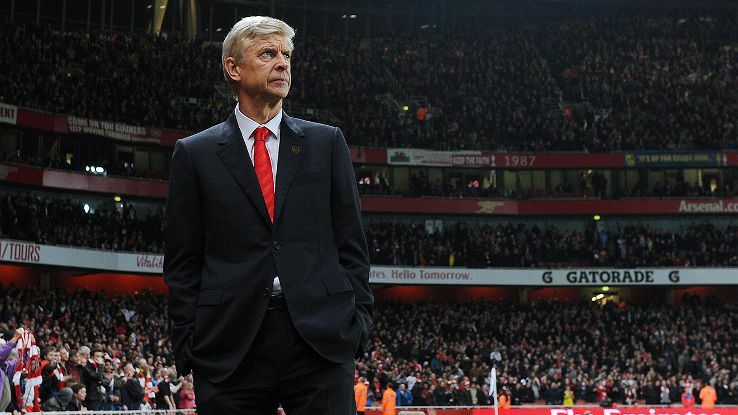 Often Arsene would make bizarre substitutions during a game around the 70th minute. Whilst this issue hasn’t been full fixed, one if the reasons the subs could seem a little strange was that they were the best we had at the time but they were not really good enough to affect a game. Now however we do not see Podolski warming up but Theo. Not Yaya Sanogo but Wilshere or The Ox. In other words, better players who can come on and change a game. Even though the negative list is becoming increasingly small, I still have a few reservation. Wenger still can’t beat Mourinho. We still didn’t challenge for the league or champions league and the emergence of Coquelin was due to an injury crisis, not a recognition of how good he could be. In fact he was due to be released this summer. Despite these reservations I’m still optimistic. I believe that we’ll challenge for the title next season and do better in Europe. I also think Wenger will beat Mourinho. As for Coquelin, we got lucky, and sometimes luck is a necessity in football. I was wrong when I said that Arsene wasn’t top class. I hadn’t seen the bigger picture and I thought Wenger was blind to our problems when in reality he was just waiting until he had the resources to fix them. This season I learnt what top class is. It isn’t necessarily about winning the league and champions league every other year. Top class is creating a legacy. The name Arsene Wenger will forever be etched into the history of Arsenal football club, and we will tell our grandchildren about him in years to come. Top class is standing by your players when nobody else does, either because they were the best you could afford at the time and they needed support, (Gervinho) or because you know they have the potential to be great, (Ramsey). Top class building a new stadium whilst keeping us in the top four and setting us up for success under the most difficult of circumstances, (and then reaping the benefits with back to back FA Cup wins). Top class is losing your best players every year and not falling apart like Liverpool and spurs when they lost Suarez/Modric/Bale. Are Higuain, Benzema and Cavani all truly upgrades on Olivier Giroud? Perhaps not! You have show maturity when you wrote the above article. I have been supporting Arsenal for more than 30 years and I have seen a lot of Arsenal, it is one of the best clubs in Europe, yes they have their own problems at times, but they always solve problems. We should not forget the work done by David Dean when he was VICE CHAIRMAN at Arsenal. He is the one who sported the talent of Arsene Wenger and brought him to Arsenal, while Wenger was coaching in Japan. We should give credit to David Dean, the man was behind the success of Arsenal. People forget about David Dean because he is not a board member anymore, but credit should also be given to him for the work he did.